2013-05-23 NEW • Distribution Release: KANOTIX 2013 "LinuxTag"
Rate this project Directly from the LinuxTag 2013 conference and exhibition in Berlin comes a new version of KANOTIX, a Debian-based distribution (with KDE or LXDE) on a live DVD: "I am proud to announce the release of KANOTIX Dragonfire from LinuxTag 2013 in Berlin. Kanotix Dragonfire is based on the recently released Debian 7.0. Besides KDE as the default desktop environment, beginning with this release there exists a lightweight alternative with LXDE. Additionally, we offer a special image similar to the CeBIT special. 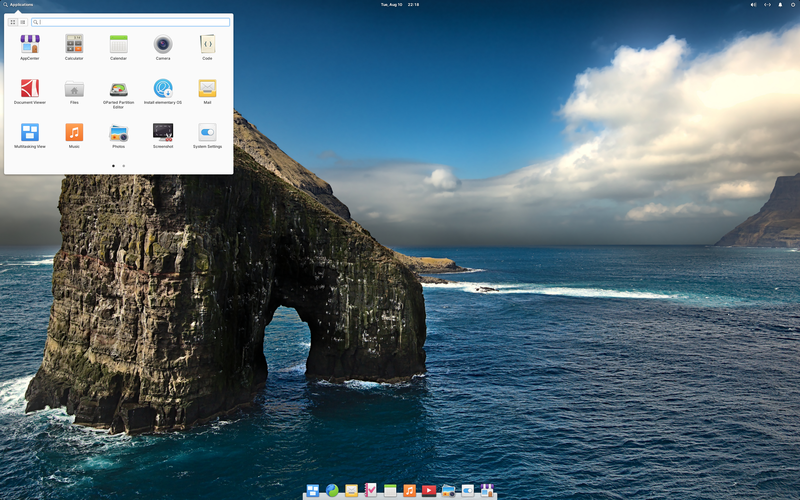 The main difference is that it has a pre-installed Steam client, a newer MESA version (9.1.1), gfxdetect and a newer glibc 2.17, KDE SC 4.8.4 and LXDE, Iceweasel 21.0, Linux kernel 3.9; LibreOffice 4.0.3...." Read the rest of the release announcement for more details. Download links: KANOTIX-LinuxTag2013-Dragonfire64-KDE.iso (1,240MB, MD5), Download: KANOTIX-LinuxTag2013-Dragonfire64-KDE-special.iso (1,240MB, MD5), Download: KANOTIX-LinuxTag2013-Dragonfire64-LXDE.iso (1,319MB, MD5). Maximilian Gerhard has announced the release of KANOTIX 2012-05, a Debian-based desktop distribution and live DVD featuring the latest KDE desktop: "The first few days of LinuxTag 2012 in Berlin are over. It seems to become a tradition for KANOTIX to release at LinuxTag. As announced earlier in highlight report we offer an update release for KANOTIX 'Hellfire' and a preview to KANOTIX 'Dragonfire'. KANOTIX 2012-05 'Hellfire' is still based on Debian 6.0.5 'Squeeze' and contains KDE SC 4.4.5, Iceweasel 12.0, Icedove 3.1.16, Pidgin 2.10.4, Linux kernel 3.2 (Ubuntu recompiled), LibreOffice 3.5.3, WINE 1.4, GFX overlays for NVIDIA and AMD 3D graphic driver. 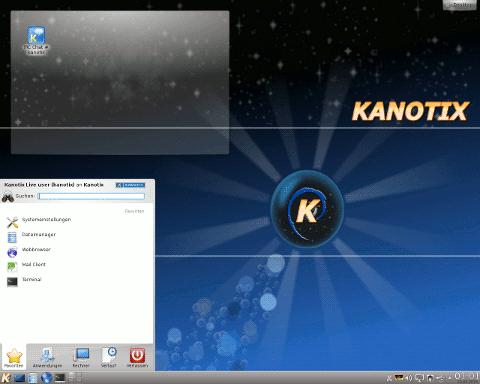 The preview of KANOTIX 2012-05 'Dragonfire' is based on the upcoming Debian GNU/Linux 7.0 'Wheezy'." Read the rest of the release announcement for more details. Download the 4-in-1 DVD image containing both KANOTIX 2012-05 editions in i386 and amd64 flavours: KANOTIX-LinuxTag2012-4in1.iso (4,341MB, MD5).